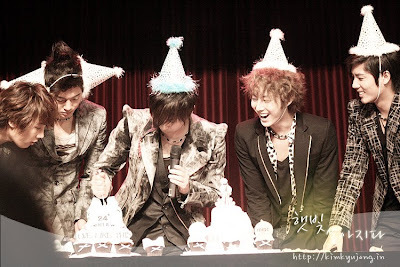 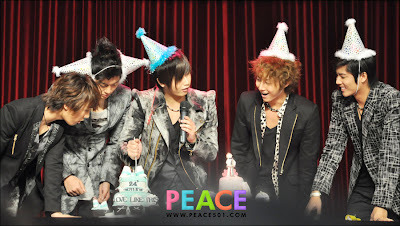 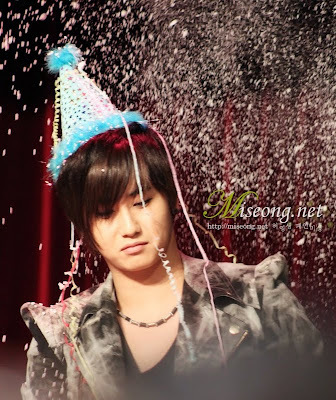 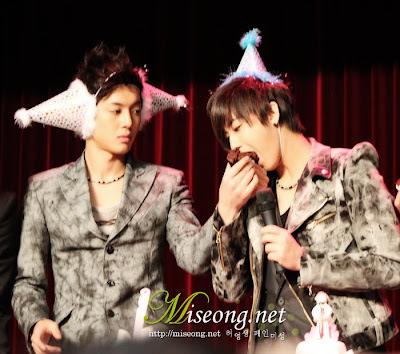 SS501 gathered around two B-day cakes for Heo Young Saeng. 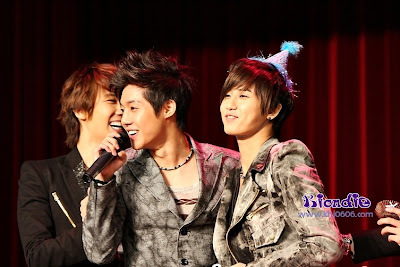 He he they remind me of handsome clowns , specially Baby ! 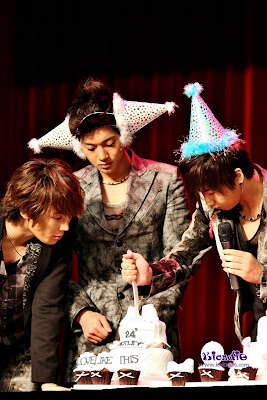 Baby feeding Kyu some B-day cake, his expression is precious ! 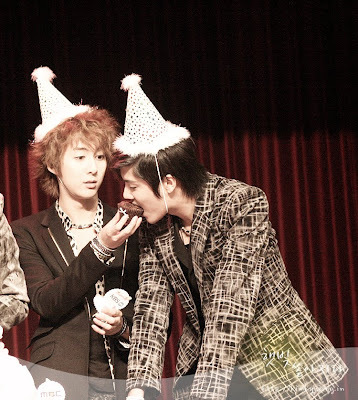 Happy Birthday, SS501's Otter Prince ! 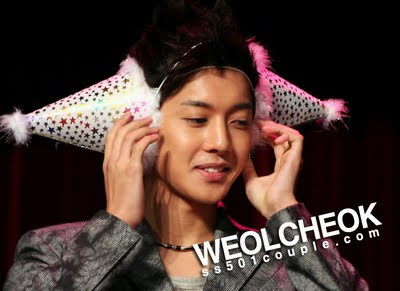 Photo Credits as labeled, thank you so much everyone for sharing these gorgeous photos !